The Odyssey OFL300ALF Alto Flute is a brilliant instrument for doubling woodwind players and for schools. This instrument helps to complete an arsenal for the flautist, and at an affordable price, it's a worthwhile investment. Featuring both split E and offset G mechanisms, this instrument also plays brilliantly, despite the hugely competitive price. The Odyssey Alto Flute is a fantastic instrument for players who will double up on selected instruments, making it great for orchestral pit players. 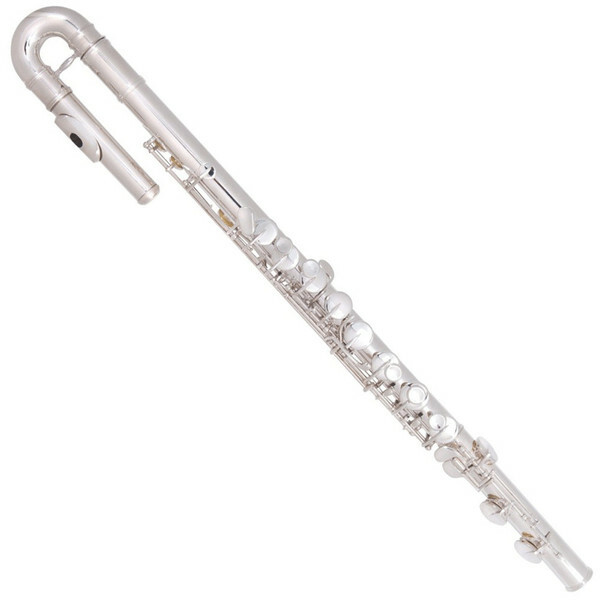 This flute is also great for schools who can get this model of instrument but at a hugely competitive price. Included with the Odyssey alto flute are a set of accessories to get you going straight away. Included are both a straight and a curved headjoint in this outfit, making it perfect for younger and older musicians alike. As well as this, a hard case with carry bag has been included to get the instrument to and from rehearsals and concerts with ease.